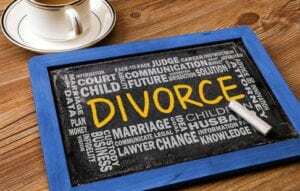 Tampa divorce & family law attorneys at All Family Law Group since 1997. Our practice includes adoption, name changes, criminal defense and consumer bankruptcy. We have helped thousands of individuals & families resolve their divorce, family & criminal issues. Our law firm attorneys & legal staff are always committed to providing personal, excellent & responsive legal services to our clients. All Family Law Group is an excellent, dependable, and wonderful group of professionals! Lynette is very attentive to detail and left no stone overturned in preparing for my case. Danielle was awesome during my mediation and very supportive. No matter what your legal needs, I highly recommend you meet with Lynette or Danielle before you make that critical decision to retain an attorney. Danielle, thank you so much for all of your work, your thought, and your concern through this process. I deeply appreciate it, and will be recommending you, and All Family Law Group to my friends & family, should they need legal services. Lynette and her staff are always professional and very personable. Lynette has great foresight of how things will be affected years down the road! Danielle was very effective with her representation in court, too. All Family Law Group is the epitome of trust, honesty, and integrity when it comes to representation. Everyone in the office is always willing to assist you in person, over the phone or email. Throughout the process Danielle wanted to be thoroughly prepared for any scenario that might arise. She handled everything professionally. The attention to detail, consistent billing invoices and constant updates all led to a satisfactory outcome. I can't say enough good things about this firm. Danielle was my assigned attorney and as stressful as divorce can be, she made the experience as easy as possible. She is extremely knowledgeable in the law and was able to answer any questions and prepare me for different scenarios that may arise. I highly recommend this law firm. They care about their clients! We are top women divorce attorneys at the law firm of All Family Law Group, P.A. located in Tampa, Florida, with locations throughout Tampa Bay. Since 1997, our attorneys represent men and women in their divorce cases. Our loyalty is with our client and we always consider the client’s best interest. Our highly skilled Tampa divorce lawyers focus our practice on all aspects of divorce law, including division of assets and debts, child custody, visitation and support, alimony and any issue that may come up during the divorce process. Sometimes during marriage emotional, economical and trust issues may occur which cannot be contemplated at the time of marriage. The divorce process can be accomplished easily if both of the parties can agree on a resolution; however, sometimes the issues are contested between the parties and require competent, thorough litigators to protect his or her interests. You need not look further. Our attorneys have approximately 50 years combined experience practicing in divorce and family law and we excel at what we do. If you need trusted and dedicated Tampa divorce attorneys to guide you and represent you through your divorce case, contact us for a free consultation to discuss your particular circumstances. Our goal is to provide the best representation possible in divorce cases by providing responsive, superlative, personal and informed representation of our clients. Our top notch female divorce attorneys work with our clients to obtain the best result and to have open communication with them. Call us now at 813-672-1900 or email us to schedule a free consultation to discuss your situation. We are conveniently located with offices throughout Tampa Bay and we work with our clients via in person consultations and appointments, as well as by telephone, mail, email and video. Our highly rated women divorce and marital law attorneys in Tampa will aggressively pursue your best interests in representing you in your divorce, including issues such as the division of assets and debt and whether an asset or a debt is marital or non-marital, retirement accounts and possibly alimony/support depending on your individual circumstances. Furthermore, if you have children, then you will have child support obligations, custody and visitation rights to resolve, as well as creating a parenting plan upon which both parents can agree. Our divorce lawyers and legal staff provide empathetic, caring, committed assistance tailored to your individual circumstances. We will guide you through the process of divorce as it is a process. Most cases will be resolved through a marital settlement agreement or a mediation agreement resulting in an uncontested final hearing where these agreements will be incorporated into and enforceable by a final judgment. If at all possible resolving your case amicably is our ultimate goal and to avoid the emotional and financial costs of litigation. However, if you and your spouse cannot agree, then our Tampa divorce attorneys will use their knowledge and expertise to assure that your interests are well represented before the Court in a contested temporary hearing or final hearing/trial. If you are a member of our military and you are in need of a divorce, we have had particular knowledge and experience with military law over the years as it relates to divorce and we have represented hundreds of military clients. Especially as there are many service members in Tampa Bay because of MacDill Air Force Base. These spouses need help from an attorney who is experienced in military divorce and who knows being a member of the military service has special circumstances and laws which must be followed. Contact the experienced, top ranked divorce lawyers at the law firm of All Family Law Group if you have any questions regarding divorce and related matters. Our team of divorce attorneys and legal assistants are committed to resolving your case in the most expeditious manner possible to avoid needless emotional pain as well as the additional attorney fees paid if you and your spouse cannot agree. Please contact our law firm by email or call 813-672-1900 to schedule a free consultation and we will respond to you immediately or at our earliest opportunity. Se habla Español.